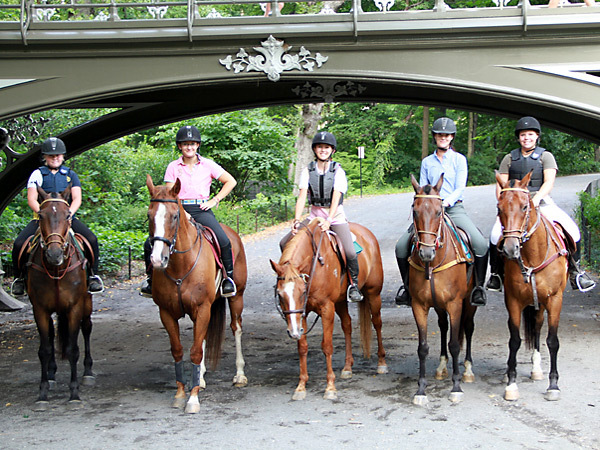 Riding under one of the historic bridges in Central Park designed by Calvert Vaux in 1857. 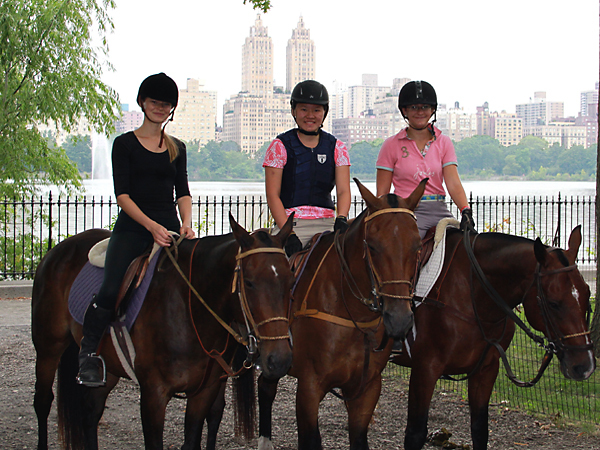 This is a one day trip into New York where we ride in Central Park with our own horses. 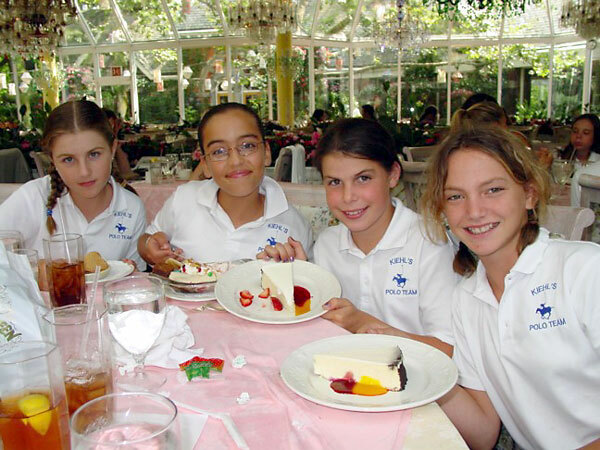 We take one of these trips during each two week session and it is limited to a small number of campers. 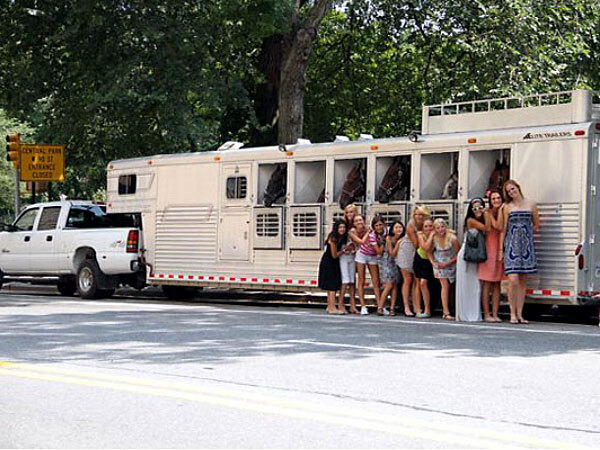 The trip is under the personal supervision of Arno Mares, the director who used to live in New York and kept a horse at at the Claremont stable near Central Park. 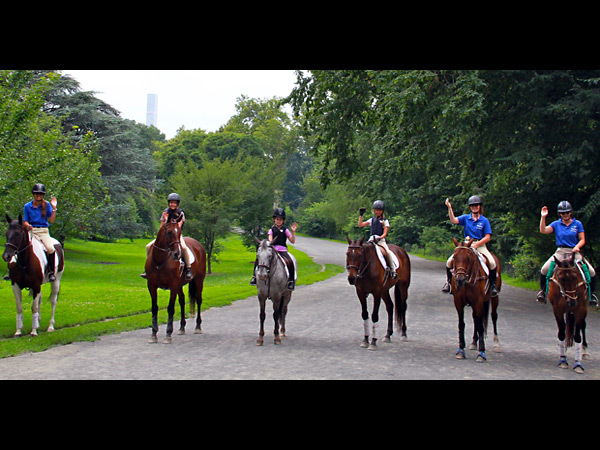 As part of the ride he tells the campers about the history of Central Park, including details of how it was designed and constructed and the architectural detail of the buildings and bridges. 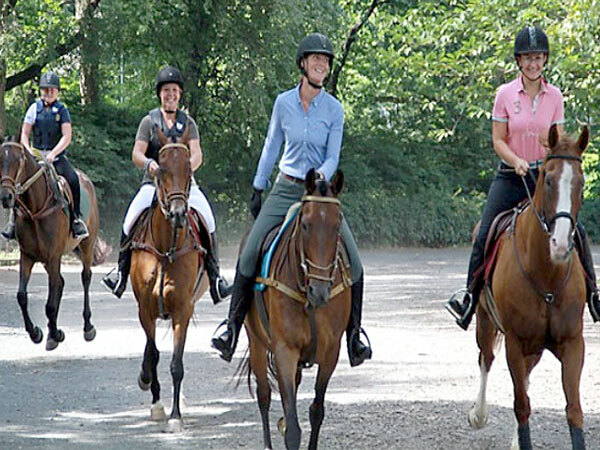 The tourists who visit Central Park are delighted and surprised to see our riders on the bridle path and start clicking away with their cameras non stop so our campers become international movie stars for the day. After our ride we have lunch at Atlantic Grill, an elegant restaurant next to Central Park. Be sure to leave room for dessert! 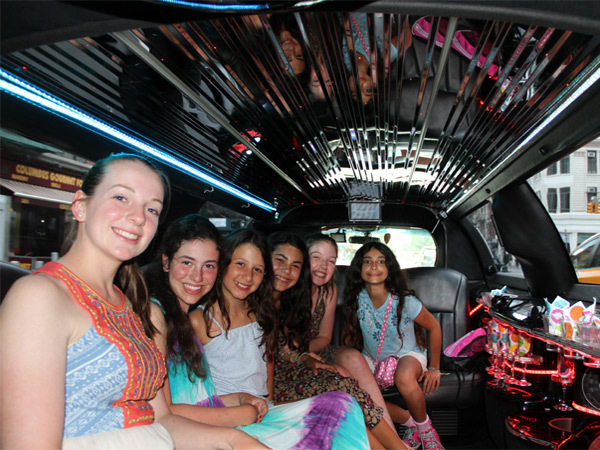 After lunch, we step into our waiting superstretch limousine and visit Dylan’s Candy Bar. 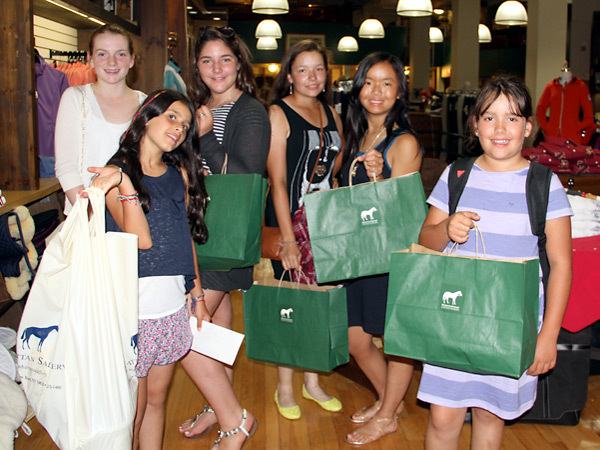 Then our car whisks us off to “Manhattan Saddlery” for some light shopping. This trip is guaranteed to make you feel like a princess for the day. There is an additional fee of $695.00 for this trip. I can't believe we are riding in the middle of New York City. 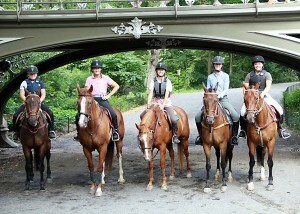 Preparing to mount up in Central Park! 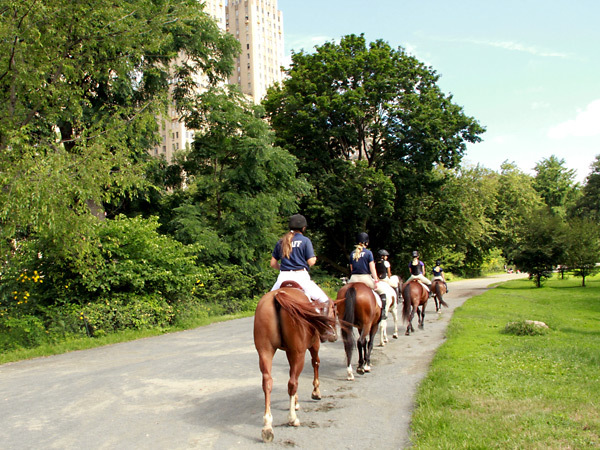 Galloping on the bridle path in Central Park. Central Park designed by Calvert Vaux in 1857. 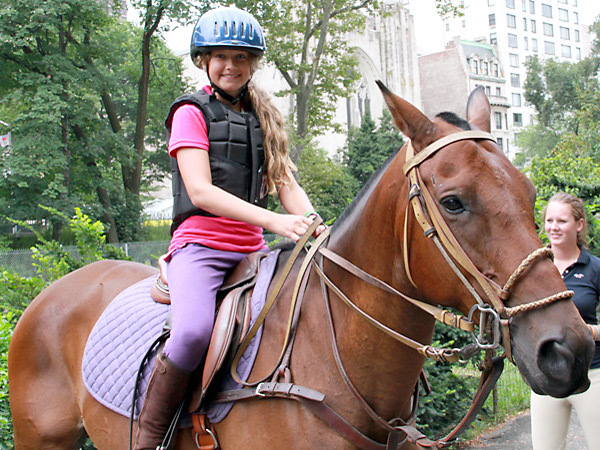 New York City looks so different when you are on a horse. I had the most yummy desert! Can't wait to come back! 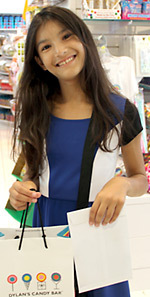 The only way to go shopping in NYC! Cruising down the West Side.